Much like a car is identified by its license plate, or a person by their ID number or passport, a fishing vessel should be easily identifiable to authorities anywhere in the world. Fishing vessels have a name and a registration number, but do those really work? Currently, the owner of a fishing vessel can easily change its name, registration number, call sign and even flag, for whatever reason, if they wish to do so. One of the motivations for an unscrupulous shipowner can be to engage in illegal, unreported or unregulated (IUU) fishing activities, as it is more difficult for authorities to track and control a vessel that changes its identity. Take the fishing vessel known as Viking for example. This infamous boat was blacklisted for poaching toothfish by the fisheries management body for the Antarctic – CCAMLR – before it was sunk in March 2016 by the Indonesian authorities. During its lifetime, it changed its name multiple times, having been known as Octopus I, Berber, Snake, Pion, The Bird, Chu Lim, Yin Peng, Thor 33, Ulyses, Gale, South Boy and Pisces. It has also flown the flags of Nigeria, Sierra Leone, Libya, Mongolia, Honduras, North Korea, Equatorial Guinea and Uruguay. We can verify this because throughout this vessel’s life there was an element that always remained with it: its unique vessel identifier (UVI). So a UVI is the real deal when it comes to clearly identifying a vessel. It is a permanent number that stays with a vessel from construction through to disposal, regardless of the vessel’s flag or where it operates. This is essential for the effective and reliable monitoring of a vessel’s activity and for the tracking of compliance throughout a vessel’s lifespan. 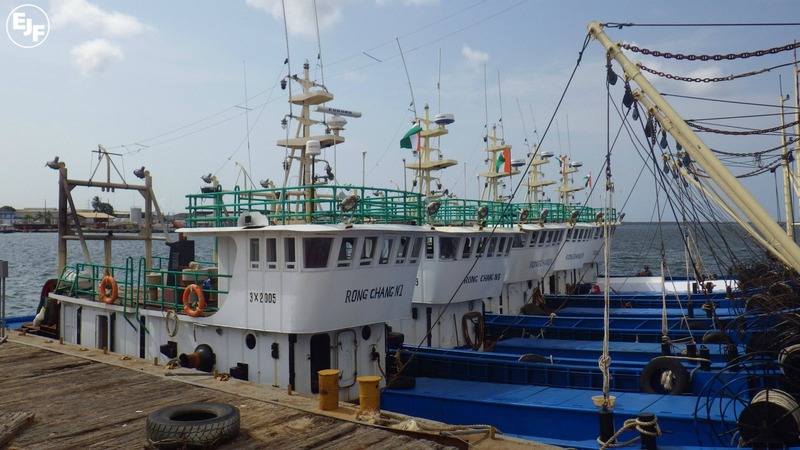 UVIs are thus a key tool for combatting IUU fishing. The most recognised, utilised and reliable UVI is the IMO number, issued by the International Maritime Organization (IMO) of the United Nations. IMO number requirements have been adopted by all major Regional Fisheries Management Organisations (RFMOs) in recent years for vessels wishing to fish within their convention areas. Furthermore, the IMO number will also be used as the UVI for Phase I of the FAO Global Record of Fishing Vessels, Refrigerated Transport Vessels and Supply Vessels, the aim of which is to gather and disseminate verified information on vessels used for fishing and fishing-related activities, to assist in the global fight against IUU fishing. In 2016, the European Commission introduced a much-welcomed measure into EU fisheries law: a provision for mandatory IMO numbers for the EU fleet for (a) vessels over 24 m (or 100 GT) fishing in EU waters and (b) vessels over 15 m fishing outside of EU waters. It also applies to (c) all third country vessels operating in EU waters. EJF and its partners are now asking the European Commission to further extend this measure by requesting that all seafood products imported into the EU market originate from fishing vessels with an IMO number – within the same thresholds as in EU law, and provided that the vessels are eligible under the IMO Scheme. Facilitate the control of fisheries products imported into the EU, reducing the risk of seafood stemming from IUU fishing being able to enter our common market. Ensure a level playing field between EU and third country fleets by subjecting imports to the same requirements as apply to internal fisheries products. Drive compliance globally with mandatory IMO requirements adopted by RFMOs, therefore contributing to global oceans governance. The global fight against IUU fishing is a tough one, but we are making progress. We need to make use of all tools at our disposal and put an end to vessels without “passports” fishing under the radar. You can read the full coalition’s case here.